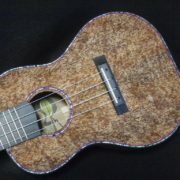 Just finished this Koa concert ukulele. 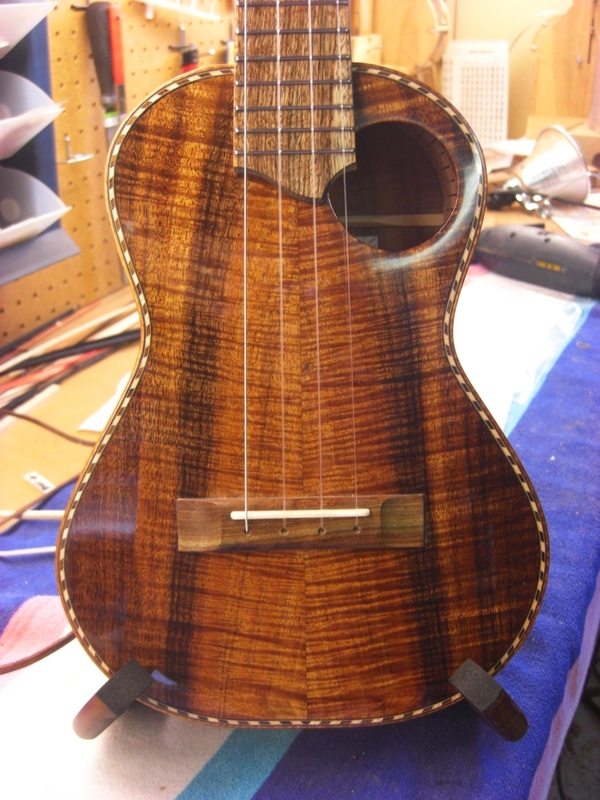 I’m still fond of the asymmetric soundhole placement, so have used same in this instrument. 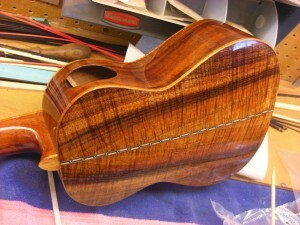 It’s all Koa except the mahogany neck and the fret board/bridge which are Chechen. I have accented with rope style purfling and back strip to match. Scale is a longer 15 3/4 inches and 14 frets to the neck. I have used Worth strings with wound Low “G”, really gives this smaller instrument a lot of punch. This instrument is available and can be seen at Surfy Surfy.